I am happy to have received a fresh read from the author I always appreciate reading. Not only as an author, but also as a human being, Sudha Murty gives her reader several reasons to never stop loving her. Talking about the book, the title really intrigues the reader, instigating a sense of suspense. I believe it should pose as one big driving force towards the purchase of the book, for it is also a famous song by Phil Collins. At first, the title appears to cover a mythological fiction, but actually turns out to be a self-help, covering a string of memoirs. Moving on to the Preface, as soon as I turned to it, I was rather disappointed to learn that Sudha Murty has not written any of the stories contained in the book but has hand-picked and edited them. For her fans who read and appreciate her writings, it should come across as a tough bet to bank on some complete strangers’ writings. Extremely basic, the TOC fails to make an instant impact on someone who’s randomly flipping through the pages. The headings of the stories are nowhere close to lucrative and say nothing in support of the title of the book. This work of non-fiction contains a string of twenty memoirs of people we do not know and who think they have got something worthy to share with everyone. The editor wants to bring forth some classic cases of inspiration to the readers, to set their pulse right in a direction unexplored. 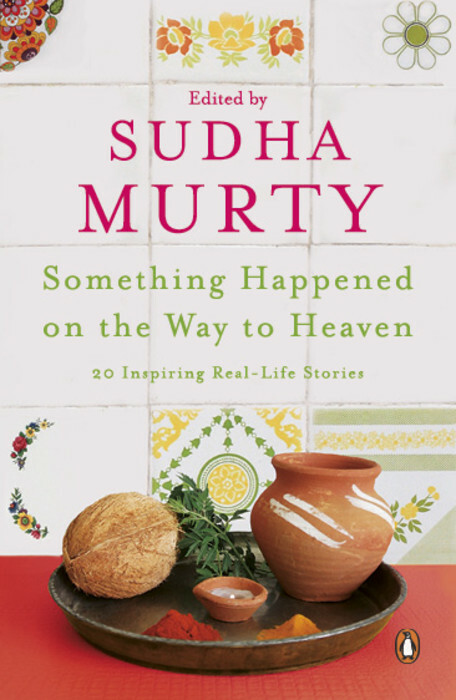 Sudha Murty has famously indulged in sharing her inspiring anecdotes with her readers and this time, for a change, has given the command to her readers and has herself become a listener instead. All the stories follow a very simple and formal way of writing, which I think well-suited the intended audience. Speaking about the language, you would not find superlative degree of literature put to use nor would you find the content engaging after having sailed through half of the book. The selection of the stories are nice, and seem to be doing their job right in sending out motivational messages to the readers. While one of them, like Acceptance, opens up new doors of possibilities in the way we lead our lives and how we could change our outlook for good, the rest are extremely clichéd and send out no new, breakthrough lessons to the readers. I am sure you would appreciate this book if you love Sudha Murty, if you love extremely simple and quick reads and if it doesn’t matter to you who writes as long as it is worthy. But having completed the book once, I am sure you would not want to re-read the same content, for it will all appear stale.